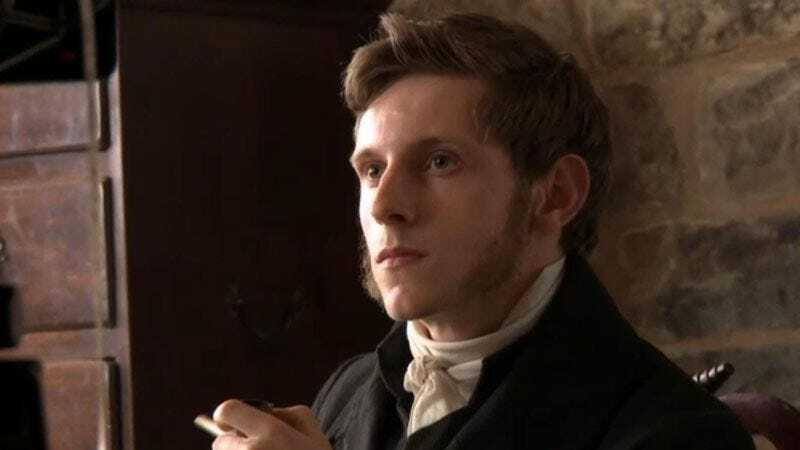 AMC’s newest, oldest period drama Turn has cast Jamie Bell, with the actor (no longer referred to as “the kid from Billy Elliot” but rather “that’s the kid from Billy Elliot? !”) taking the lead role in its Revolutionary War-era drama. As reported earlier, Turn is based on Alexander Rose’s book Washington’s Spies, which tells the tale of the Culper Ring and their no-longer-secret contribution to the battle for America’s independence by gathering intelligence on British soldiers, then passing it along using charmingly antiquated methods, like hanging different colored petticoats on a clothesline, or taking out ads in a newspaper. Bell will play the central character of Abraham Woodhull, described as a “hard-working New York cabbage farmer.” Like the innocent bystanders in the double lives led by AMC’s other antiheroes, expect those cabbages to suffer.